Hollywood is in mourning Hollywood legend Roger Moore, who died on Tuesday aged 89. Best known for his portrayal of 007, fans shared their fond memories. “I was really sad when I heard because he was basically the funny James Bond. 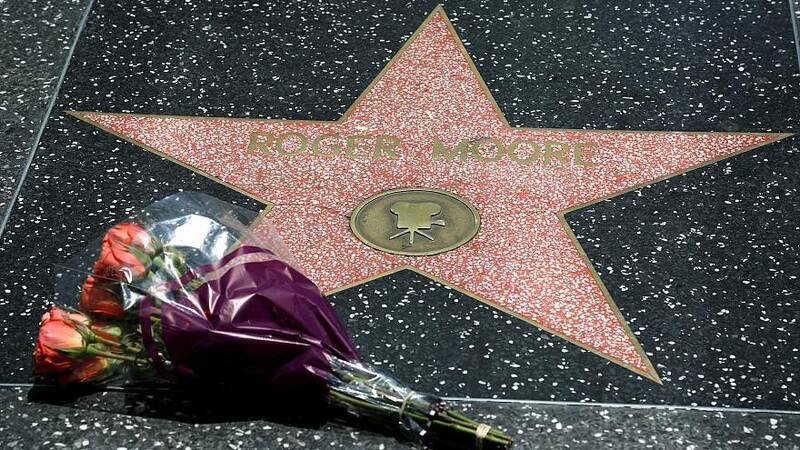 I remember a lot of people thought, ‘Sean Connery, who can fill his shoes,?’ and Roger Moore just slipped in and it was like James Bond was reborn,” said Gregg Donovan as he laid flowers beside Moore’s star on the Walk of Fame. Moore played the title role in the Bond series a total of seven times, making him the longest running actor in the spy films. His suave yet funny take on the role has clearly left a mark on the next generation of the silver screen crowd. “I remember Roger Moore, looking so dapper and now it’s sad,” said director Michael Bay. For male actors, Moore was a legend, and a personality to look up to. “He’s Bond, man. He played James Bond. It’s one of those iconic characters that memorializes you forever in entertainment,” explained actor Josh Duhamel. Moore’s career saw him take on several other iconic roles, most notable on the small screen in series such as The Saint. A title which suited him well later in his career as he devoted himself to humanitarian causes. However, he could never shake off his most famous character. On playing 007 he once said, there is no downside being eternally known as Bond.